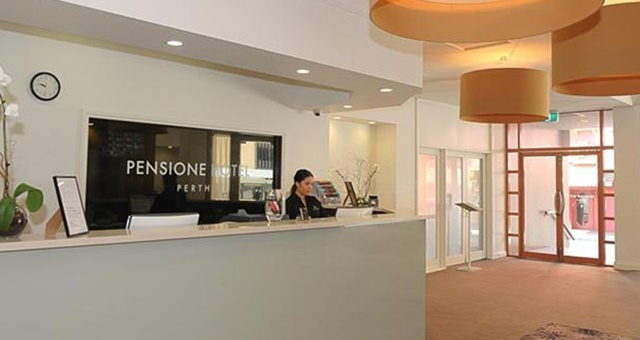 The Pensione Hotel Perth is one of three properties soon to join the EVENT Hotels stable. One Sydney property and two in Perth currently managed by 8Hotels will be transferred to the management of Event Hospitality & Entertainment Limited under a deal struck this week. Effective 29 October 2018, The Ultimo Sydney, Pensione Hotel Perth and All-Suites Perth will move to the EVENT stable, however it is currently unclear whether they will be reflagged as Rydges, QT or Atura – the three brands currently operated by EVENT. Once integrated, all three will be open for members of EVENT’s Priority Guest Rewards program to earn and redeem points. Event Hospitality & Entertainment Director of Hotel & Resort Operations, Norman Arundel, said the company was delighted to welcome all three properties to the EVENT family. “We look forward to working with the incredible local teams to amplify these hotels’ offerings through EVENT’s sales and marketing channels and providing our guests the unrivalled hotel experience they’ve come to expect from our brands,” Arundel said. The Pensione Hotel Perth is a 98-room property set within a classic 1960’s edifice in the Perth CBD. It currently ranks among the Top 10 hotels in the city, according to TripAdvisor. Just down the road is the All-Suites Perth, an apartment-style property offering 43 self-contained style residences close to Perth’s Swan River. Also included in the deal is the Ultimo Sydney, a 95-room property in Sydney’s bustling Chinatown district. Set within a heritage-listed building, the hotel is close to city attractions including Darling Harbour and the Powerhouse Museum.